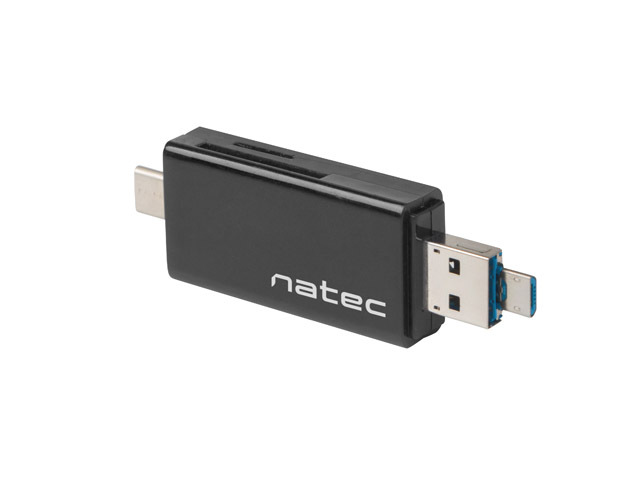 Natec EARWIG memory card reader is a compact and multifunctional 5in1 device for reading and writing data on memory cards. 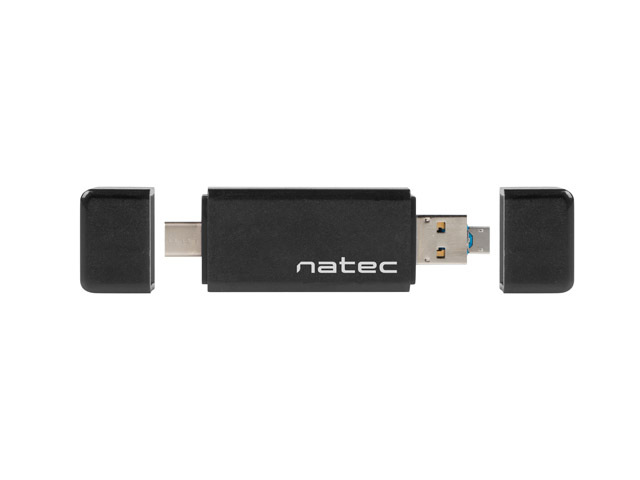 Multiple technologies in one device make this a must-have item and its small size easily fits into a pocket, backpack, purse or hand luggage. 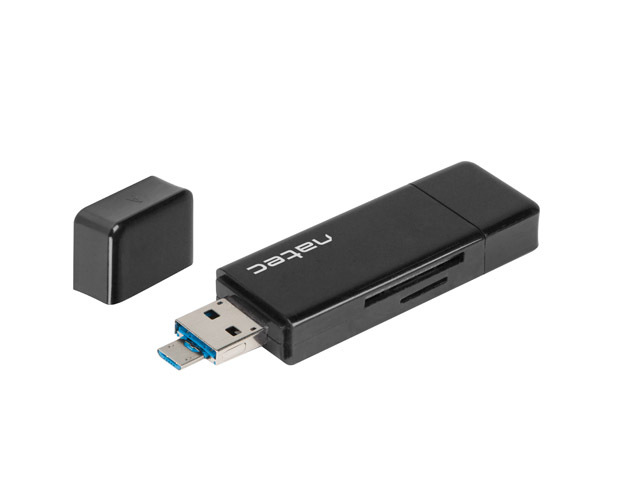 EARWIG allows you to record and read via a USB (Type A), Micro USB OTG or C-type connector on the smartphones, tablets, computers or laptops. Additionally, it has an SD and micro SD card slot for reading both types of memory cards.